Brenda Griffith of The Rusty Thimble. This was a lot of work for her to set this up and get it all in motion for us. Thank you Brenda for all you do and have done. Now, the winner of our sweet ornament is Vicki Jo !! Congratulations.....I will be contacting you for your mailing address. How exciting! Thank you for the cute prim snowman! He will look perfect on my tree! 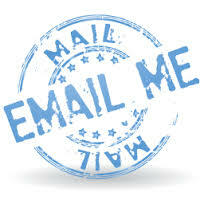 My e-mail is vickiobenhaus@hotmail.com.